The surname Kapoor is more a disadvantage than an advantage. When you have a last name like that people expect certain kind of acting from you. But if I tried to ape Rishi Kapoor I would have fallen flat. So I have always tried to do out of the box things throughout my career.A� My first film was in Telugu.Then I did serious cinema with Kahan Kahan Se Guzar Gaya, back in the a��80s. 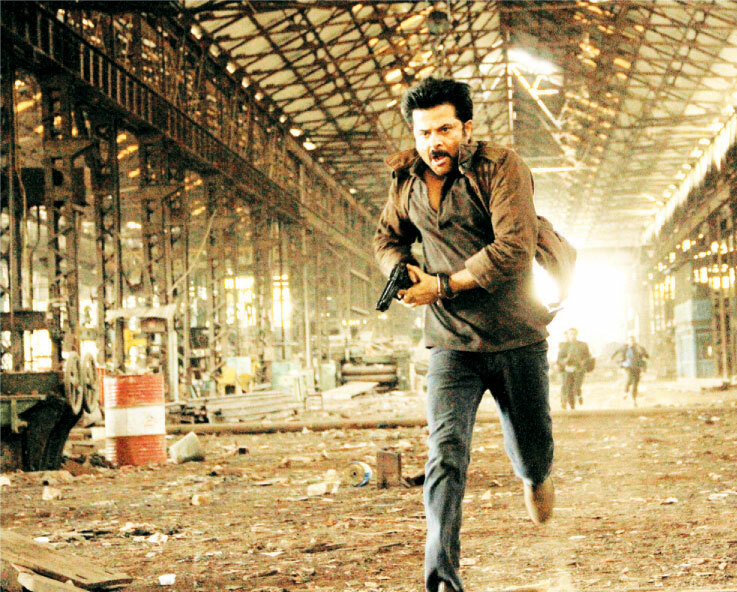 I expect 24 to be as entertaining as a film. Its canvas and scale is like a film. Mostly, we have seenA� actors like Amitabh Bachchan, Salman Khan and Shah Rukh Khan in top reality shows like KBC and Big Boss. But fiction needs time and is a different ball game. The shadow of Jack Bauer (original character played by Kiefer Sutherland) is always there. You cana��t get away with that. Ita��s like James Bond movies. You have actors like Pierce Brosnan and Daniel Craig playing Bond. But in the back of your mind there is always Sean Connery. When I was filming for 24 in the US,A� I realised India needs a show like this. The content is much more relevant here than anywhere else in the world. I was fortunate to get the rights to make the show. Coming to the adaptation, the blood flesh and soul of 24 is Indian. The plot tracks 24 hours ofA� Anti Terrorist Unit chief Jay Singh RathodA� in real time over 24 episodes. Direction is a full time job. You have to wear so many hats simultaneously, especially in India. Here people have a tendency to control everything. Whereas in Hollywood you have a specialised department for everything, right from writing to casting. I have tried to do that with 24. Every step was a challenge right from convincing the international channel (to get the rights) to getting the team on board. Acting gives me more satisfaction, especially if I have a great director. When you are producing ita��s your own content and you have more control over it. During my flight I spend my time learning lines. When I was doing 24 I would write down and rehearse my lines.A� I have found new ways of fighting jet lag. When I have to fly to LA, I adapt my body to their timings, three days before I leave. I also workout and yoga also helps me. I also take an organic sleeping pill called Melatonin. My favourite series is Homeland. Ia��m patriotic by nature and Homeland is about dynamics of countrya��s security.